Every year, there would be some crazy nail polish trend. I remember vividly that when Black Shatter from OPI was released as part of the Katy Perry collection, there was a mad rush to get the exclusive limited edition polish and it was sold out everywhere. I managed to pick it up from my regular nailcare supplier. This year, the trend seems to me on magnetic nail polish. I bought the China Glaze Magnetix set at a pretty good deal. 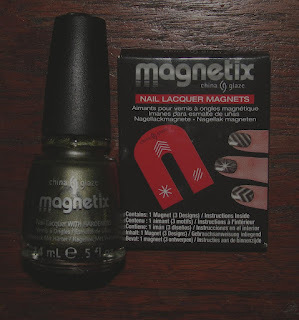 The polish and magnet were sold separately, but I liked how you could have different designs with the multi-magnet. There were a couple of hues, but I personally wanted to try something different from what I usually wear, so I chose the green hue. The magnet was really fun to play with! However, since my nails are rather huge, merely placing the magnet over my nails isn't sufficient. I had to roll the magnet around so that the field strength will be able to reach the sides. The most troublesome one was my thumb, as the nails are naturally larger than the rest. I would advice anyone using this polish to use base coat first. I tried both with and without base coat, and realized that the polish went on too thickly without basecoat and looks rather streaky. The spread was much more even when I used my Sally Hansen base coat. One coat of magnet polish was sufficient for the design and colour to show. Overall it was pretty fun, but I found it a bit of a hassle to keep placing the magnet over each nail separately. 3-4 seconds was enough to make the design appear, but do take note that you need to be extremely careful not to scratch the polish with the magnet by mistake! This is something fun and was a pretty good way for me to unwind from work. 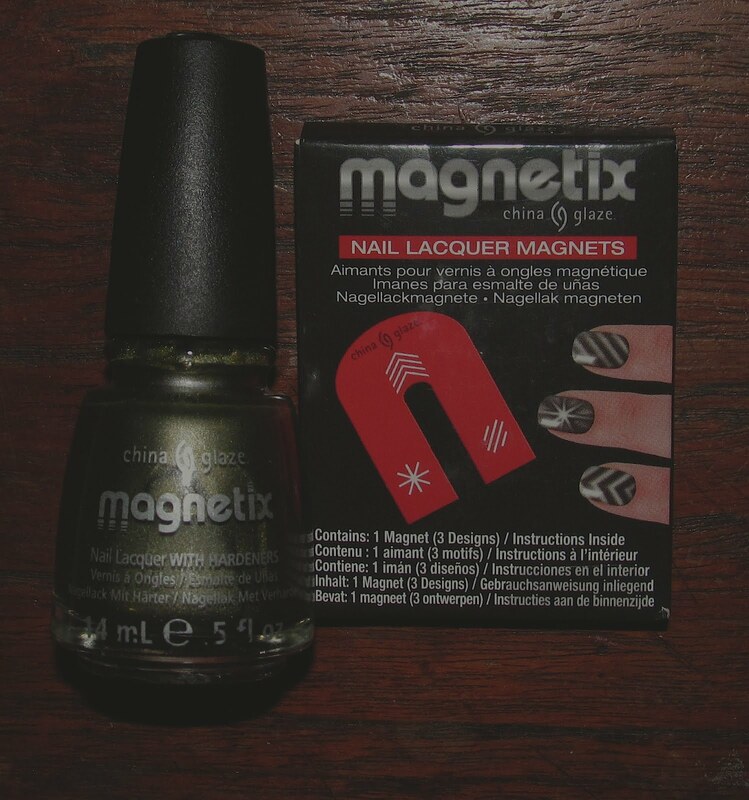 For the time being, I probably won't pick up any more of the magnetix polish until I finish this bottle. And from the looks of it, since one coat is enough, I believe it will last a long, long time!